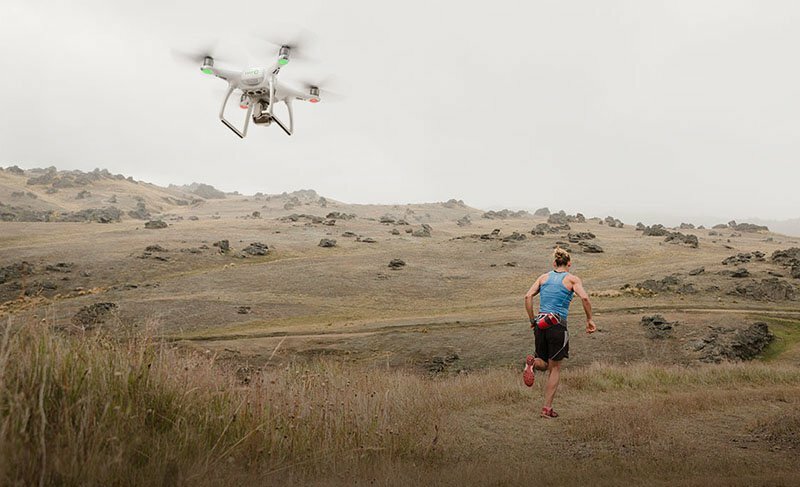 The new DJI Phantom 4 has a “follow me” function. Credit: DJI via PetaPixel. Iran has one of the most extensive military drone programs in the world. We’ve uncovered new evidence that the program’s capabilities continue to expand, but also often fall short of the state’s claims. Here’s what you need to know. At FiveThirtyEight, Fotini Christia discusses how she used cell phone metadata to figure out when and where a drone strike occurred in Yemen. At the British American Security Information Council, David Hambling explores how unmanned undersea vehicles could contribute to anti-submarine warfare operations. At Middle East Eye, Patrick Hilsman investigates whether Israeli-made Searcher drones are being used by Russia in Syria. At the Associated Press, Yuri Kageyama writes that Chinese drone manufacturer DJI is looking to break into the Japanese drone market. At Offiziere, Galen Wright looks into Iran’s claim that it has launched drone strikes in Syria. At Air & Space, Saam Gabbay argues that drone regulations are a confusing patchwork of state and federal laws that is difficult to navigate. At CNBC, Clay Dillow considers why China is emerging as the world’s chief drone exporter. At the Tampa Tribune, Howard Altman examines why Special Operations Command could receive less funding for drones in Fiscal Year 2017 than it did in 2016. For more on drone spending in the FY17 defense budget proposal, click here. At the Cipher Brief, Luke Penn-Hall writes that military and civilian law enforcement agencies are likely to demand more counter-drone technologies. At the Financial Times, Adam Jezard writes that concerns about drones and robots are the latest manifestation of an age-old fear of technology. At Vice News, Jason Leopold continues a series on the FBI’s investigation into Samir Khan, the American citizen who was killed in a drone strike in Yemen. At Popular Science, Kelsey D. Atherton takes a look at how American laws have been applied to robotic systems. At Drone360, Leah Froats speaks with Ross Kerker, a leading drone racer. At Geographical Imaginations, Derek Gregory examines an art installation that takes aim at the targeted killing program. TechCrunch takes a closer look at the growing drone industry in several African countries. Fast Company considers how drone aerial photography can be used to enhance real estate listings.